There are two islands at the Conrad, the main island and the 'quiet' island. I'm sure you can guess which one this is. The quiet island seems to play host to all manner of feathered friends, from curious little water hens (how adorable are they? I went on numerous excursions around the quiet island, seeking to befriend each one I came across like some kind of crazed cat bird lady) to scores of squawking seagulls and lone, pensive herons. It's the perfect side of the resort for long, aimless walks under a canopy of palms and for swinging gently on suspended daybeds and cushioned benches, dozing off to the sound of the ocean. In other words, the place I now conjure up in my mind when mentally escaping to my 'happy place'. Omg that ASOS dress! ASOS is definitely my go-to for everything. I have got to check out their maxi's. Also, look at that sand! Looks like I need to plan a trip to Maldives! Mine too, haha, especially last-minute holiday essentials! Love that maxi dress, and I'm officially swooning over these photos! Must visit! Thanks, Nicole! Yes, definitely go! Oh how I wish I was there right about now. It looks absolutely gorgeous! Island life really is the best! Love that dress on you!! It seems like you are in paradise! Oh wow! These pictures are breathtaking! Nothing better than relaxing on a quiet little island! Beautiful photos!! 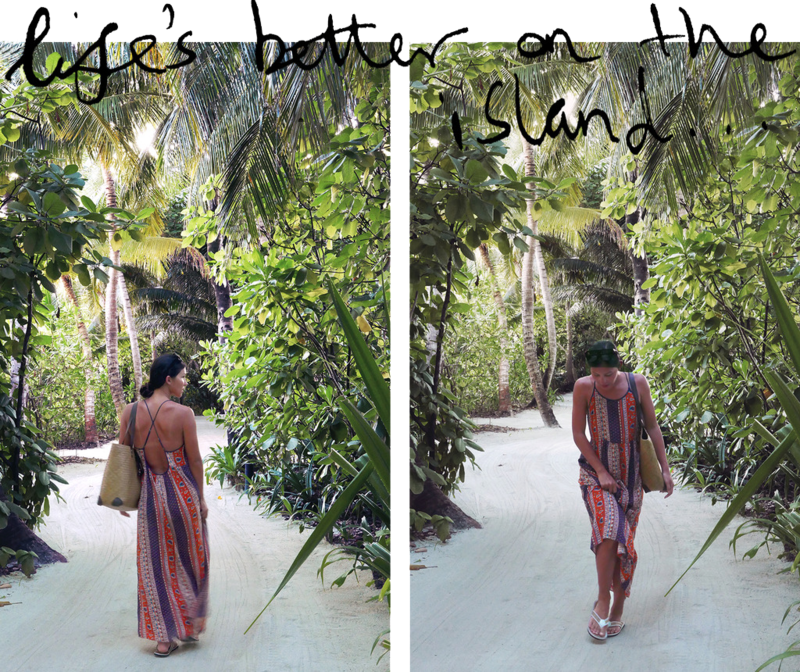 Love your dress and amazing place!! Beautiful photos! love your dress! that place is gorgeous! also love the dress! ASOS dresses never looked sooo good!!! You make everything look like a million-dollar outfit!